We were back at the historic Crown Hotel and Ballroom in Nantwich to photograph the October wedding of Jenny and Richard. The Ceremony by Your Ceremony took place in the grand Ballroom before the drinks reception upstairs at The Crown. After photos the evening reception was held in the turned around Ballroom which included the surprise of Darth Vader from Star Wars arriving to arrest the Groom along with his Stormtroopers! The Groom was soon released and the Troopers posed for photographs. After the speeches and cake cutting, the newly weds danced their first dance provided by local duo Baxter before dancing the night away. 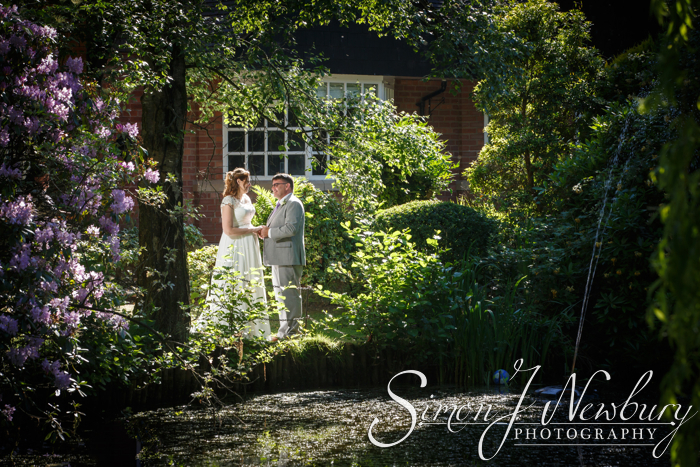 We were at The Mere Court Hotel near Knutsford in Cheshire for the outdoor summer wedding of Helen and Lee. 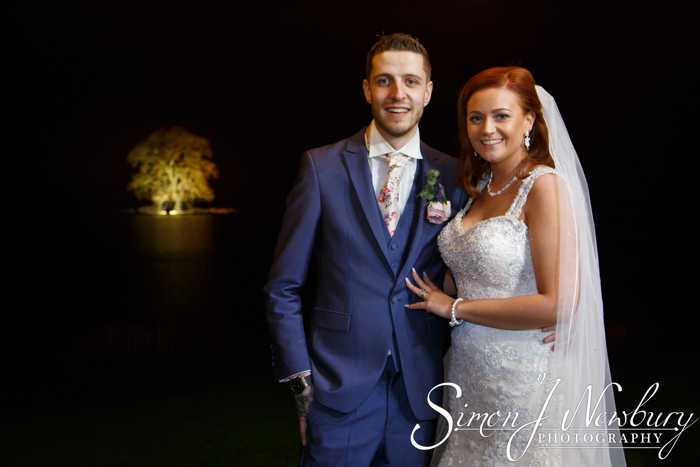 The Great British summer provided a beautiful blue sky perfect for the wedding ceremony which was held outside in the pagoda in the gardens of the Mere Court Hotel. 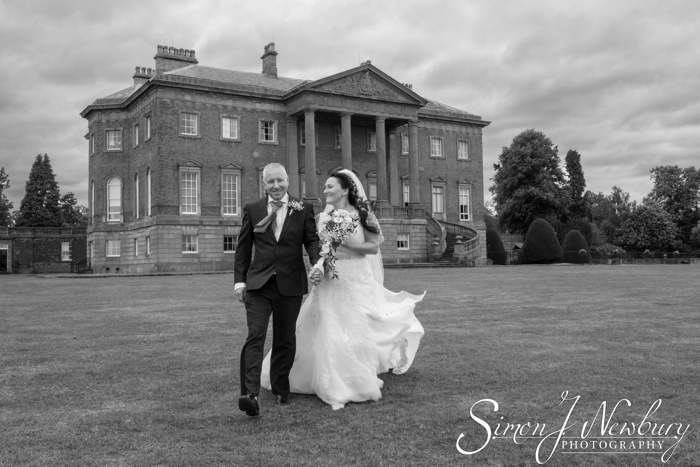 Tabley House is a unique and beautiful wedding venue set in delightful parkland approximately 3 kilometres to the east of the town of Knutsford, Cheshire. A stunning Palladian mansion; Tabley House was built in 1767 by John Carr of York for the Leicester family who lived at Tabley for 700 years. The elegant, light Georgian rooms still display important paintings and furniture collected by the family over the centuries, the collection includes pieces of artwork by Turner, Lawrence and Reynolds and furniture by Gillow, Bullock and Chippendale amongst others. A 17th century chapel sits adjacent to Tabley house, the chapel was moved from an island in 1927 due to brine pumping and re-erected in the stately homes grounds. Tabley house has also been host to various TV productions, including Antiques Roadtrip, The Forsyth Saga and Flog it. 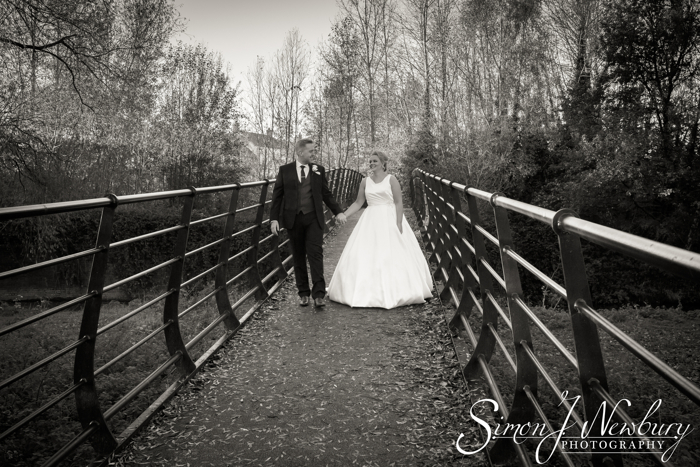 We were back at The Plough Inn in Eaton to photograph the beautiful rustic wedding of Stephanie and Daniel. As usual, Tina was with Stephanie, the Bride, ahead of the ceremony while Simon was at The Plough Inn with Daniel, the Bridegroom along with his Groomsmen. The historic barn with it’s oak beams was beautifully laid out ahead of the ceremony with a stunning sunflower theme. The lovely wedding ceremony was complimented by the ‘handfasting’ or ribbon ceremony where the happy couple “tied the knot” in yellow ribbon during the service. After the confetti and group shots was the wedding breakfast back in the barn. Once this was completed we headed out to do the couple photos around the Plough and also at the nearby park. It was then back to the Plough for the cutting of the cake and the first dance. 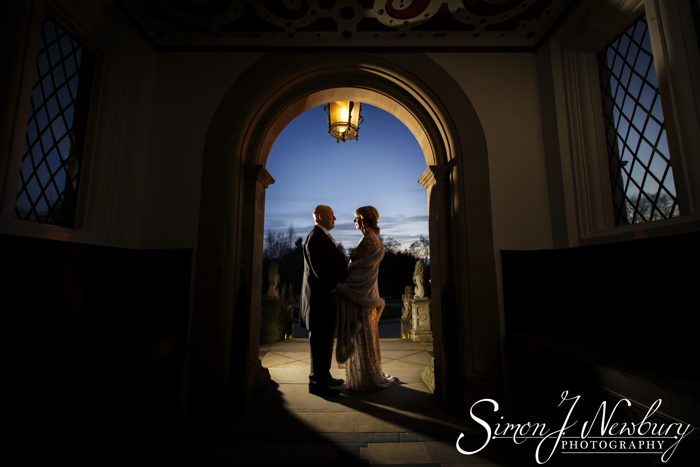 We were back at The Manor House Hotel in Alsager for the intimate wedding of Meg and Tony. Tina photographed the bridal preparations in the Bridal suite and handled the bridal portrait and the photos of the bridesmaids and bridal party before the ceremony. Simon was busy before the ceremony photographing background images for the wedding book and both the ceremony room upstairs at The Manor House and the newly decorated Boardroom laid out in advance of the wedding breakfast. 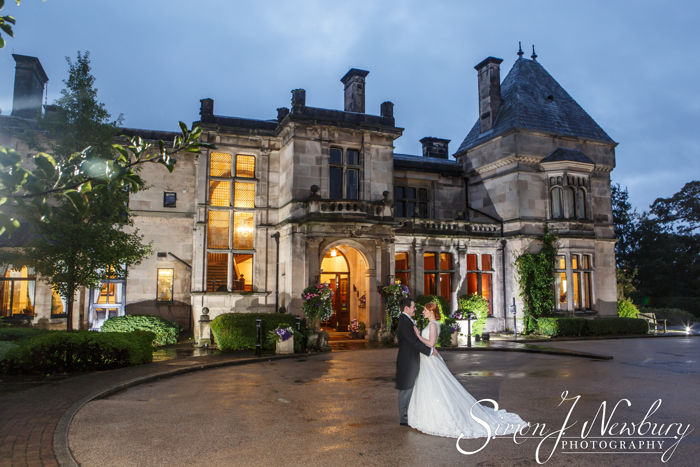 We were at the beautiful surroundings of Crewe Hall Hotel to photograph the wedding of Helen and Steve. As usual Tina photographed the bridal preparations in the Hotel at Crewe Hall as well as the Bridal portrait. Meanwhile, Simon photographed the establishing photos for the wedding album, the ceremony room – The Great Library, the Groomsmen and wedding rings ahead of the ceremony. 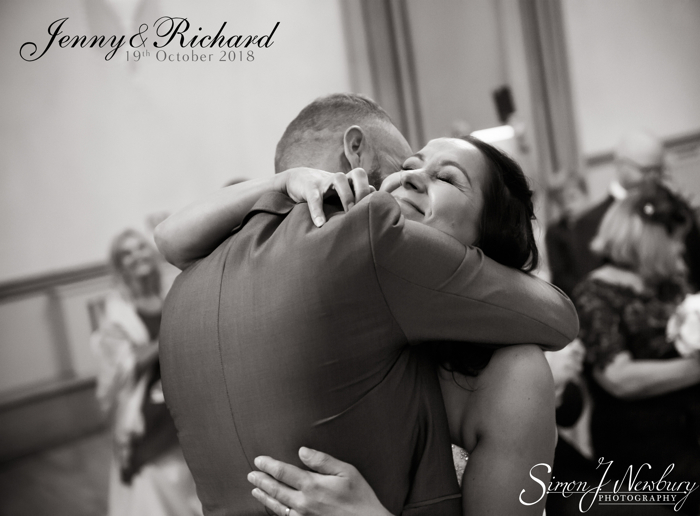 We were at The Crown Hotel in Nantwich to photograph the wedding celebrations of Natasha and Clive. The beautiful Grade I listed hotel is steeped in Nantwich history and is full of quirks and curiosities from its 400 year history. 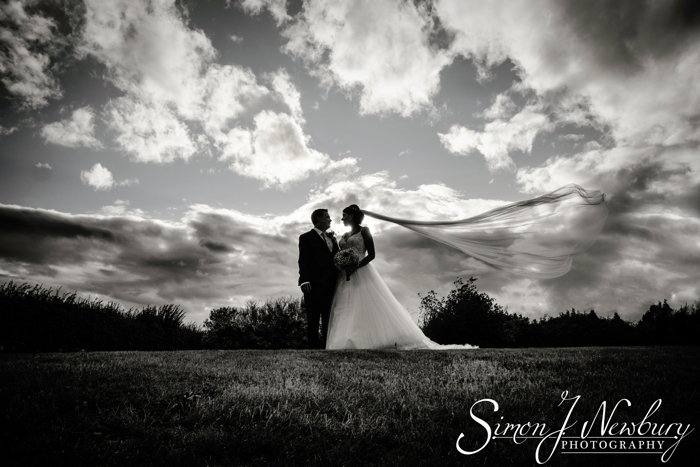 The Wedding of Lucy and Ian took place on a wet but warm June day across 3 locations. Tina joined the Bride at her parents house in Loggerheads, Market Drayton, Shropshire for the Bridal preparations, whilst Simon went just down the road to St Mary’s Church in Mucklestone, to photograph the rings and capture the Groom relaxing before the ceremony with his family, friends and Best Man. 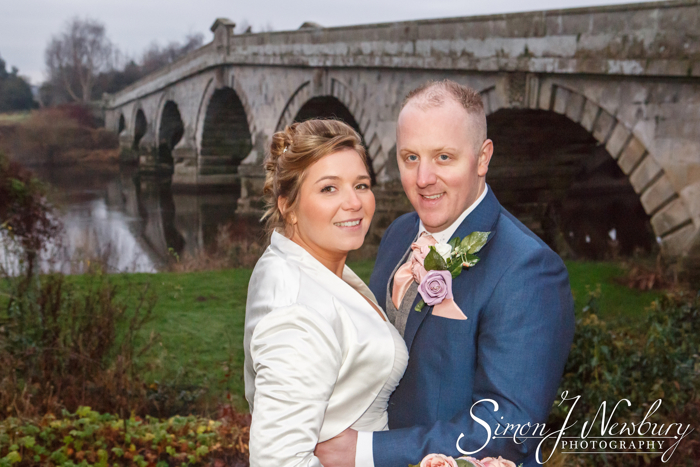 We enjoyed a lovely winters day in Shropshire for the wedding of Adele and Benny which took place on 29th December set across three wonderful venues. The pre-wedding preparations all took place at Macdonald Hill Valley Hotel, Golf & Spa, Whitchurch, Shropshire. Tina photographed Adele’s bridal preparations in the Hotel while the boys had their groomsman photos in the lovely backdrop of the golf course. Built to a traditional design, the Oak Barn at Sandhole has a wondserful rural charm and allows guests to flow effortlessly from ceremony to reception drinks and the wedding breakfast. The Oak Barn offers stunning views across the lake and the rolling Cheshire countryside. 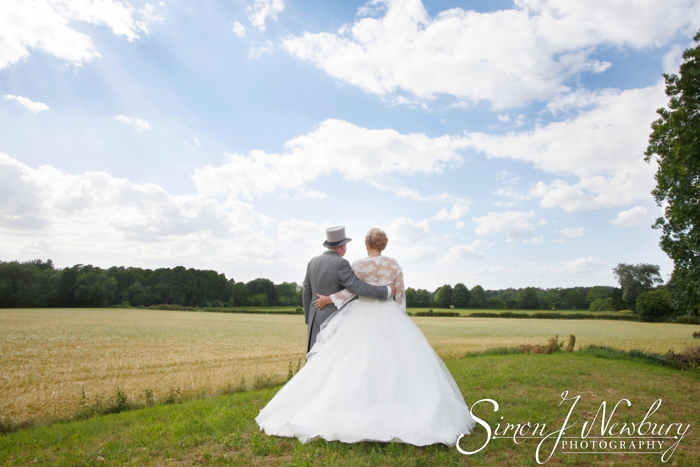 Photographically Sandhole Oak Barn offers many great backdrops for couple photos.